Last week we had a report of an infestation of Colorado potato beetle larvae on tomatoes in a high tunnel (Figure 1). 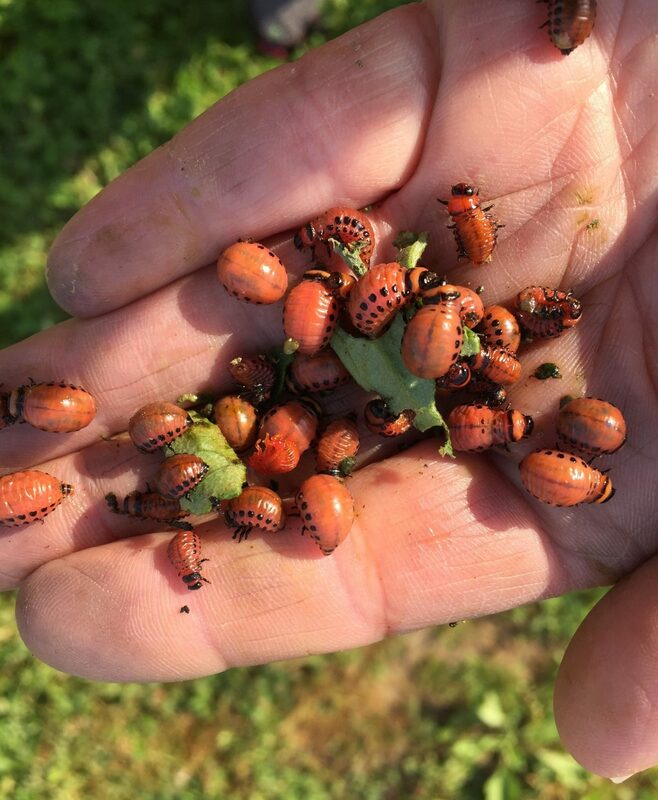 Potato beetles are a pest of most of the solanaceous crops (potato, tomato, eggplant, pepper), but they rarely become a serious problem on tomato in Indiana. In addition, we have not seen them in high tunnels before, so this is a new problem for us. There are a number of insecticides that are labeled for use on Colorado potato beetles, but that list gets much shorter when the problem is in a high tunnel. Remember that in Indiana, a high tunnel is considered a greenhouse, so insecticides that are prohibited in greenhouse cannot be used in high tunnels. The effective products that could be used in this situation are Admire Pro®, Intrepid®, Entrust® and Exirel®. Figure 1. Colorado potato beetle larvae.